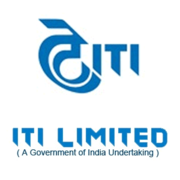 ITI Limited Recruitment 2019 - Apply Online for Legal Officer Post in ITI Limited, Bengaluru, Karnataka. Online Applications are invited by Indian Telephone Industries Limited from 01 Feb 2019 to 23 Feb 2019 for 1 vacancy. Graduation in Law from a recognized Institute/ University. Minimum two years’ experience as an Advocate or 2 years post qualification executive experience in the Legal Department of medium /large industry or legal associate /legal consultant in an Advocate’s or Solicitor’s office. 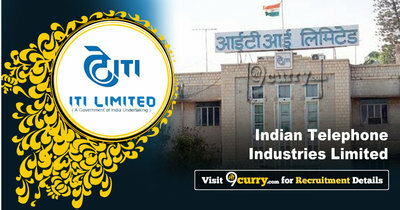 Eligible candidates may apply online at ITI Limited's website (direct link is given below) from 01 Feb 2019 to 23 Feb 2019 05:00 PM. Candidates log on to http://www.itiltd-india.com/. After applying online applicants need to send the hard copy/print out of online application form along with Self Attested photocopies of certificates and Marks Sheets in proof of Educational Qualification (X standard / SSLC and onwards), Experience, Cast, etc. to ADDL. General Manager-HR, ITI Limited Regd & Corporate Office ITI Bhavan, Dooravani Nagar Bengaluru – 560016. The application with all relevant documents should reach on or before 28 Feb 2019.